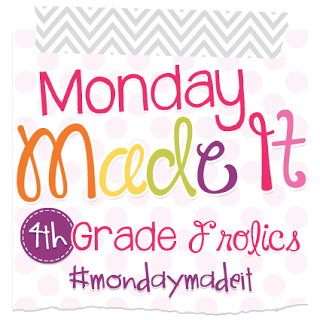 This is my last Monday Made It before school starts tomorrow! I know I won't be able to create like I have been this summer once school starts. I'm so thankful that Tara has hosted MMI because I'm held accountable to create at least one new thing so I can share! Last week I was at my classroom every single day decorating my new rainbow room. I decided to update my freebie clip chart too! Last year I shared my Low Maintenance Clip Chart and talked about it HERE (scroll to the bottom of that post). I changed the colors to match my new decor, so I wanted to share. 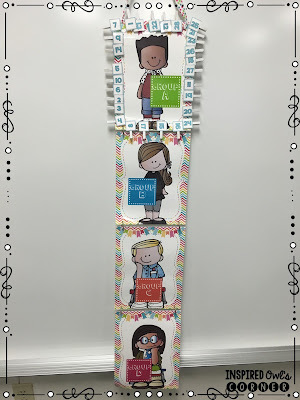 This clip chart was so easy to use this last year! Long story short, I always loved the idea of having students clip up, but I can never remember to have them clip up. With almost 30 students, that was the last thing on my mind most times. 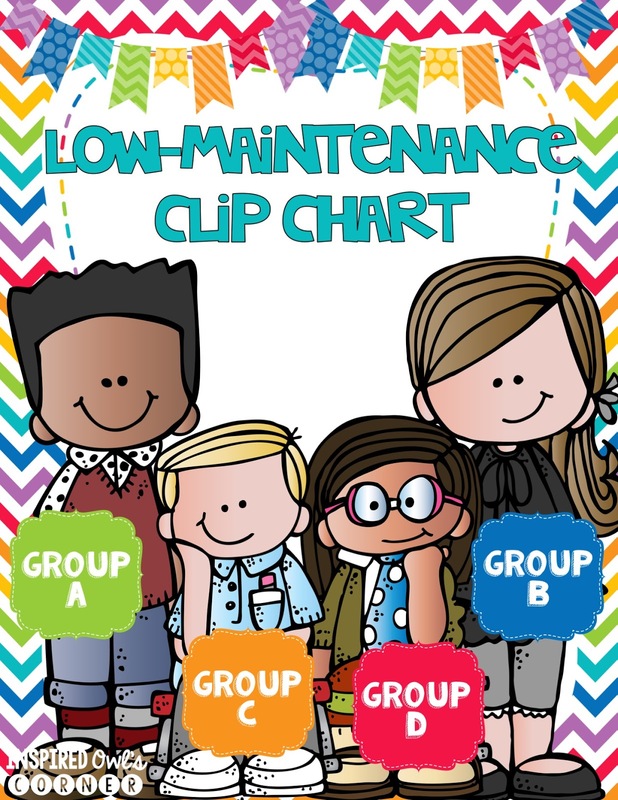 This clip chart consists of 4 pages, and is similar to a regular clip chart, but it has only four pages to it. Group A is on the top, then Groups B, C, and D hang below. Students clip down if they are breaking a classroom agreement, which is only considered a warning. If the same student continues to make poor choices, I ask him/her to move their clip down a second time. They owe class money at the end of the day. A third time clipping down results in giving up more money, a conference at recess, and parent contact. (I usually like the student to write the parent a letter explaining their behavior.) I know clip charts aren't for everyone, but I need a quick and effective way to manage my class, and this works for me! At the end of the day, I will update Class Dojo according to the clip chart. Below is a picture of how I set up my clip chart from last year. If you would like to try it too, I am offering this as a freebie. I have included my ideas for assembly and use. I have also included the small blue numbers for the clothespins. You can buy the small clothespins at Michael's or Joann. You can click HERE to download the clip chart, numbers, and directions. I hope you were able to take a few ideas with you! Have a fabulous week! Simple and it gets the job done, love it! I like that they owe money when they clip down! Cute!